Professional Fence Installation! Residential and Commercial! Meet One Of The Best Fence Crews In Ohio Our fence crew may look mean in this picture but they are some of the nicest and hard working guys you will meet. Not only that but they know how to build a quality fence and treat our customers with respect. Sholler's Fence has been building fences from Cincinnati to Dayton to Columbus for over 20 years now. We are one of the larger fence companies in the area. We can build just about any type of fence you want from including residential, commercial, agricultural and industrial fences. We pride ourselves on building high quality fences at affordable prices. Our business has grown to its current size due to word of mouth. Our customers love us and they tell their friends and family about us. But don't take out word for it just check out some of the testimonials we have. We are happy to help you in anyway we can whether that is answering questions or providing you a free estimate. We look forward to building your new fence. 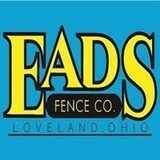 Since 1980 Eads has led the Cincinnati fence market in quality, service and innovation. Greater Cincinnati fencing customers have learned that we set the highest standards for customer service and satisfaction. Our installation department provides complete professional installation services for all types and styles of fences. Our material sales division proudly sells to the general public throughout the Cincinnati area and the nation. Our wholesale division is staffed with industry veterans who are capable of meeting the specialized needs of contractors and fence companies. Enjoy visiting our website and viewing our photo galleries. We invite you to come browse the largest fence showroom in the region. We appreciate your business and look forward to working with you. 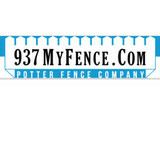 Potter Fencing has over two decades of experience installing fences in the Dayton area. Our expert installers can design cedar (wood), chain link, vinyl, split rail and ornamental aluminum fences to meet your specifications and create a beautiful frame for your home. Ask us about installation today! Check out our brand new online estimator at our website! Ellis fence Company began in 1962. With over 50 years of experience we offer quality customer service going above and beyond standard. To put it simple we build a better fence the first time. We stand by our work. We offer a large variety of selection offering prices for many budgets. We specialize in Commercial, residential, security, sports, industrial, agricultural and gate operating systems. At Ellis Fence Co. We have an A+ rating with the Better Business Bureau. We are fully insured. Richard Weese, president of Deck Renewal Systems (DRS), started the business in 1993. Rich had been in the paint and stain industry for 10 years prior. Throughout his career he noticed a growing trend of wood decks and fences and realized that there was a strong market to clean and seal exterior wood on a consistent basis. Deck Renewal Systems, Inc. is the company to call for your deck maintenance needs. Since 1972, Pioneer Fence Company has been providing the highest quality fencing materials and professional fence installations in Indian Hill, Terrace Park, Mariemont, Milford, Loveland, and the rest of the Greater Cincinnati area. While other companies offer slick salesmen, cheap prices, and nationwide service, Pioneer Fence specializes in what we do best… FENCES AND CUSTOMER SATISFACTION. Whether you are interested in a new installation, a repair to an existing fence, or a material order for fence supplies, Pioneer Fence can meet your fencing needs. Founded in 1862, Stewart Iron Works has earned an international reputation for artistry in ornamental metal fencing & gates along with custom architectural metal railings with elaborate scroll work & gateway arches. Project design is paramount. Each design is individual and distinct. It must address function, form, environment, architectural integrity, and beauty. We will help you bring your vision to reality. We are family owned and strive to complete 100% satisfaction at a cost you can afford. The work speaks for itself . We have been in business for 15 years. We do all types of fences such as: Chainlink, Split-rail, Kentucky Board, Privacy Fence, Aluminum Fence. We beat all other estimates. We also give out free estimates. We can supply pictures of other jobs we have done. We sub-contract for other companies. We do our own and don't sub-contract our company. Also supply a 2-year warranty on our work. We are insured and know what we're doing. We can supply testimonials if needed. Will travel out of state if needed. Unlike other companies we also offer a easy payment plan where you can pay monthly on your payments! Show us the proof of other estimates and we can match or beat them by 200 dollars! We use only the best products for our customers. We have recently expanded our work to the Indiana and Kentucky states as well. Feel free to take a look around, if you have any questions don't be afraid to ask as we will answer them the best we can for you. Hess Fencing was started in 1994 by Marcus Hess as a company that specialized in building vinyl fences. In 2005 Travis Hess, Marcus’ brother, became a partner in the business. Together they have grown the business and have expanded the types of projects Hess Fencing does for homeowners and businesses. Today, Hess Fencing recruits and trains qualified personnel to construct fences, decks, and railings with our time-proven installation methods combined with the highest quality products from leading U.S. building materials suppliers. Our industry knowledge coupled with our dedicated team allows us to effectively complete a wide range of residential and commercial projects throughout the Miami Valley. B&B Fence & Decks is one of the most respected fencing companies in Dayton. Our excellent reputation is the product of over 37 years of complete customer satisfaction including unequaled customer care, expert workmanship and the use of the highest quality materials in every fence and deck project we complete. We combine all of this with a fair price to set ourselves apart from other fencing and deck contractors. We dig deck and fence holes for do-it-yourselfers as well! All fence companies are not alike. Whether your needs are commercial or residential, ornamental iron or chain-link, you can rely on B&B Fence & Decks for high quality craftsmanship and workmanship at a competitive price. Our years of integrity and dependability have paid off with a reputation in the fencing industry that can’t be beat! We are proud of the positive feedback our customers give us as well as the many referrals we receive. Your West Carrollton City, OH fence installation and repair professional will work with you to create your ideal fence. Fence installation or replacement. If you are in the market for a brand new fence, a contractor’s services will include walking you through various fence styles and materials, determining a suitable height, ensuring that all fence designs and plans are compliant with Ohio building codes, and that the fencing meets both your stylistic and security needs as the homeowner. Fences and gates must complement the grade of your property as well as the type of soil you have, so the contractor should always plan around these considerations. Additionally, if you don’t know exactly where your property lines are, he or she can commission a survey for you. Find a fence contractor in West Carrollton City, OH on Houzz. Narrow your search in the Professionals section of the website to West Carrollton City, OH fence contractors. You can also look through West Carrollton City, OH photos to find examples of fencing and gates that you like, then contact the professional who worked on them.